A "Tiny Roast" to celebrate Spotlighted Author Bruce DeSilva - Happy Halloween! Puffing on that cigar he's never without so he looks like Mulligan (we all know that his lead is based upon himself), he told me he would provide the entertainment. Bruce DeSilva Enriches Lives of Fans Sharing All Past Writings Including College Papers! The Party will begin, of course, whenever Bruce gets here...And I'm sure he will have a wonderful time! Please come...otherwise, I have to wear that top above for the next month! Would Rogue Island Be as Great if Set in Another State? This essay first appeared on a great blog called The Outfit, a collective of Chicago crime writers. When Sean Chercover, author of “Trigger City,” invited me to write something as a guest, I decided to explain why I chose Providence instead of Chicago, a city I love, as the setting for my first crime novel. Review During Blog Tour - Russell Brooks! Russell Brooks has created a first novel that is just waiting to be turned into an action movie! I’m wondering if he even might be looking to play the main character, Ridley Fox! Pandora’s Succession moves quickly into non-stop action that pulls you in to an exciting tale you will totally enjoy! Russ Brooks as Ridley Fox??? Ridley Fox was a former JTF2 member (equivalent to SEALs) who had planned on getting out when he married Jessica. That had been two years ago, before the same group that now had captured him—the Arms of Ares, had killed her. He wasn’t sure whether he had been tricked or not—he was supposed to be there in Chechnya to help a scientist working for Ares and his wife to defect. In return Gregor Stechine would help put this group out of business! And Ridley wanted that more than anything else! But something had happened and now his wife was here, to help him for he had been captured and imprisoned. She was also claiming that she had been the one who had contacted him, not her husband! Both Gregor and Sveta were microbiologists who had been used to create weapons of terrorism to be sold by the criminal organization Ares. Her husband was now dead and Sveta had been afraid to contact regular agencies since she knew Ares members had infiltrated them. But now, they had created a microbe called Pandora so powerful that small amounts of it introduced into an area would cause as much damage as a nuclear bomb, except it would only kill the people! She claimed there was no defense against Pandora! For some the desire for money is all that is needed to choose sides. Valerik had been a former KGB operative and had no conscience about doing anything that was necessary to complete his job. And the “white-haired man” who had become his superior was no different than the rest as they discussed what needed to be done now that Ridley Fox had escaped and might have some knowledge of what was happening in the Groznyy, Chechnya lab. But for others, even money is not the absolute for choosing to go against the world. His mole in the CIA would have to be contacted by the white-haired man to find out what was happening! He had to know more...for The Promise! Ridley worked alone most of the time but found that at least one CIA operative had been placed where it was most important, but neither Ridley nor Nita Parris knew about the other. Other than the heroic efforts of Ridley and Nita and their exciting endeavors to prevent Pandora's use, I found most intriguing the activities of the three villains who, though working together, had such diverse goals that, in the end, that diversity was part of their downfall! Pandora’s Succession is so jam-packed with edge-of-seat action and adventure that the reader won’t even have time to slow down to take a drink of that tea cooling on your nearby table. Seriously, this is one of the best action books that I’ve read in a long time...and, like I said, would highly nominate it to be made into a movie—it has what it takes! Terrorism, traitors, killers with “causes,” biological warfare, top-thriller action for the hero to win, and peril to the world! Thankfully, it’s fiction! Readers, not only do I highly recommend it...but if you’re an action fan like I am...don’t you dare miss this one! Don't miss book announcement and author interview posted immediately before this review! Book Reader's Heaven Welcomes Russell Parkway on Blog Tour! Book Reader's Heaven is delighted to welcome Russell Parkway on his Blog Tour to announce his Debut Novel, Pandora's Succession. Russell, could you tell us a little bit about yourself--Where are you from? When I was in high school. In high school I had several ideas that stayed in my head constantly. It became a distraction because I’d be accused of daydreaming when in fact I was playing scenes of a potential story in my head. One day I decided to write them down on paper until I had a novel. Your first book was very ambitious, don’t you think? How long did it take you to write it? It was a lot of hard work because of all of the research that went into it. I didn’t take any writing classes either, most of what I learned was from trial and error until I got to know my writing coach, Victory Crayne, back in September 2008. She coached me through the last two rewrites of Pandora’s Succession. From the day I first started writing to today we’re going back 22 years, and that mostly because of dividing my time between school, track and field, and music. Where do your ideas and subjects come from? My ideas come from all over the place, but mostly from scientific journals and news events. I don’t go out “looking” for an idea, that doesn’t work for me. Instead I’ll just read several articles or I may overhear a conversation or catch a blurb. After going through that, a “What if… ” scenario pops into my head. Your book is full of action with a lot of detailed information—how did you learn so much about guns and details of events you describe? Again, it was all in the research. I also read a few books on how to write novels. I was fortunate to be surrounded by some excellent people that offered to help. I knew of the importance to be as accurate as I could in describing either an event, a location, or an incident because I knew that potential readers would be current and former government agents, people in the military, martial arts enthusiasts, scientists or people with a strong background in science, aside from avid readers of the thriller genre. I consulted with Belgian martial arts expert, Wim DeMeere, who helped me to write the fight scenes. After I started promoting Pandora’s Succession online by posting a few chapters, a reader—Jim from California—wrote me and informed me that my protagonist, Ridley Fox, was using the wrong sidearm. He recommended that he not use a Ruger but the Hechler and Koch. He sent me pics and explained the specs to justify why the HK was a more likely weapon that Fox would carry. He had me convinced and I changed the weapon immediately. My brother, Randy, is in the Canadian military and he helped me with various military aircraft. I wasn’t fortunate to interview any assassins or spies so I had to pick up some things from reading Barry Eisler’s novels, who’s also a former CIA agent. Former CIA director George Tenet’s biography also helped me with regards to references. Well, I for one, am certainly happy that you didn't interview any real assassins and are alive, here and well to talk to us! But it sounds like you did have good professionals helping. What is the basis of your novel’s title? Pandora comes from Greek mythology. Succession comes from the term, Ecological Succession. If you know about the Greek myth and about Ecological Succession, then you’d have an idea what Pandora’s Succession is about. Hmmmm, Russell, so I have to be a mythology fan to understand your title...maybe you'll give us more info at another time for those who are not familiar...LOL Your book includes many variables that creates an action-packed thriller...frankly, do you think you can “top” this, your first novel? LOL. I hope so, otherwise I’d be a one-hit wonder, which I don’t want. Seriously, I believe that I’ll top this novel because I’m still in the process of developing my author’s voice. There were a few things that I wanted to do with Pandora’s Succession, but based on the advice of my writing coach, I had to leave them out because the story would’ve been too long. For example, an original draft had Pandora’s Succession begin in the Canadian Arctic rather than outside of Groznyy, Chechnya. However I was recommended to cut the entire chapter, not because it wasn’t good, but because my protagonist, Ridley Fox, was not in it. Rather it was the antagonist whom, according to my coach, readers might mistake for the protagonist; may not like the character and not buy the book. In other words, since this is my first novel and I’m unknown, there are certain things I should hold off. Until I become better known, my name will be able to sell the novel before the story. By that, perhaps, I can assume you might be considering a series with Ridley Fox...I hope so because I enjoyed him very much. Does writing come natural to you or is it something that you had/have to work on? I’d have to say that the writing was something that I had to work on. The ideas came more naturally. Pandora’s Succession changed tremendously. When I first wrote it in high school it didn’t even have the same characters. The plot wasn’t even the same. The book matured along with me and I had to accept what I could include in the story and what I needed to cut. In the last few years the story has been more consistent. Well, I certainly was impressed with your writing...and you can tell that your ideas flow freely--there was much to consider in your book and you certainly gave us many villains to "hate!" Do you see your future writing coming from your life or from other people? If anything there’s more of a chance that I’ll be writing more about other people than myself. My blog, The Big Picture, is comprised of essays in Op-Ed format where I comment mostly about social injustice. One of my essays, “Why does Vancouver not deserve to host the 2010 Winter Olympics” was published by the National Post in their online Op-Ed section. I got a lot of praise for it. But I also pissed off a lot of people that didn’t approve of my pointing out the reality of the struggles that Canadian amateur athletes faced before the Olympic games were awarded to a Canadian city. This was even though I was speaking from personal experience of having competed for Canada on a few occasions. I literally became an enemy of the state with that essay. But I won’t apologize for setting the record straight. Well, congratulations on your nonfiction writing efforts (and am wondering whether that is why you are writing under Russell Brooks)...Who were the people or person that inspired you to write? There were a few, such as my family, close friends that gave me their electronic typewriter as a gift when I was 12 when they learned that I was writing a novel. But I have to give special mention to my 6th grade teacher, Ms Bédard (back in those days, first names of teachers were classified (lol)). One day I decided to write a mystery short story. Ms Bédard saw it on my desk one day as she walked by, asked me what it was, and read it out loud to the class. I was surprised when she led the class in applause. She wrote me a note saying that one day she hoped one of my detective novels would get published. It was one of the nicest things a teacher has ever done for me and I still remember that day as though it was yesterday, right down to the location in the classroom where I was sitting and where she stood when she read my story. That is indeed a wonderful memory for you...it shows the very real potential that teachers play to influence our young people! Sooooo, How many different drafts of a manuscript did you go through before you published? Pandora's Succession took about 15-19 rewrites. So much has changed in terms of technology that I had no choice but to change things. For example, the internet and cell phones didn’t exist when I started writing. Even the publishing industry has changed tremendously over time. The story I have now, had it been written the way it was back then, would’ve fallen in the science-fiction category. Very good point, especially for those authors that have written stories in the past and pull them out from files...lots of catching up to do on technology alone! What has been your favorite story/subject that you have written about and why? In February of this year I wrote an essay titled, “I was fired for voicing my opinion. I guess I should’ve shut up.” This was about former CIA agent, Valerie Plame Wilson, and her husband, Joe Wilson. I recommend her autobiography to everyone. Anyone that has the courage to stand up for their rights, especially when they’re alone, deserves every form of recognition possible. I also did a video blog about her book on The Russell Show. Hmmm, I like that! I've have to tell you why I was fired once for wanting to actually "work" on my job...But that's another day...What kind of environment do you prefer when you’re writing? I’ll either write at home or in a coffee shop. I like writing on the train or the plane when I’m travelling. Be patient. It’s very important NOT to rush into writing or publishing without conducting proper research. Depending on how serious you are with your writing, I strongly recommend that you research any literary agent or publisher you may want to do business with. If something sounds too good to be true, it usually is. Visit the Preditors and Editors website. They research everyone in the publishing business and list which ones are recommended versus the people that you ought to avoid. Keep reading. It’s important to keep up to date with the changes in the publishing industry. And most importantly be passionate about what you do. Your own passion will drive you to do all of the necessary things that you need to do in order to become a successful published author. I especially like your feelings about being passionate. Frankly, Russell, your first novel demonstrates the driving passion you have and I can only see you getting better and better in the future! Where do you see yourself and your writing in 10 years? I’d like to eventually write screenplays. My dream was to write a screenplay for the next Superman movie. I have some ideas I believe Superman fans would like. If given the chance I’d love to present them to Warner Bros. I wouldn’t mind co-writing a script with Quentin Tarantino and acting alongside Uma Thurman and Samuel L. Jackson. Okay, that one’s a little out there, lol, but there’s no harm in dreaming big. Hey, dreams are the beginning...Frankly, I love Samuel L. Jackson, especially in my favorite movie, The Long Kiss Goodbye...and I can see Ridley Fox gaining a lot of training and experience from an older character played by Jackson... In fact, I'm already seeing your book as an action movie! So just keep on dreaming big! What do you do when you get stuck in writing? I play my violin. My best ideas come when I’m not sitting in front of the computer and thinking about how to write a scene or come up with a plot. Cool, a man of many talents! Have you ever wanted to quit? What did you do when that thought struck you? No. I’m the person that likes to finish what they start. The day that I think of quitting something is the day that it’s time to move onto something else. I have an untitled crime/mystery novel that I’m finishing right now. If all goes well I’d like to have it available sometime by Winter 2011. I’m currently outlining the sequel to Pandora’s Succession. I was on the Canadian Track team and represented Canada at the World University Games in Palma di Mallorca, Spain in 1999. I was also the top sprinter at Indiana University while I studied for my BS in Biology. I play the violin, and once played four other instruments while I was in high school. I mostly sing right now in my church choir (I responded to a dare where I sang and posted it to YouTube. It’s in my blog under the Russell Show). I’m also active in an online poetry group called: The Artist Lounge, and I regularly participate in their radio show every Sunday as the resident poetry recitor. I started my own show on YouTube called: The Russell Show, where I’ve expanded on what I do on The Artist Lounge. Recently I’ve started promoting other authors by reciting excerpts from their novels. So far I’ve done this for JA Konrath and Cherish D’Angelo. I’m Russell Parkway on myspace and facebook. I’m AuthorRussell on Twitter. My website is http://www.russellparkway.com/. Russell, thank you so much for allowing me to talk with you here at Book Reader's Heaven. Next up is my review of Pandora's Succession! Which I thoroughly enjoyed! Best wishes for the remainder of your Blog Tour and marketing efforts! Russell Parkway Announces His Debut Novel on Blog Tour! About the Author. Russell Brooks is a former Canadian Track Team member in the 100 and 200 metres. He has written several essays on his blog The Big Picture, one of which was published in the online Op-Ed section of the National Post in early 2009. He has also written the short story, To The Last Bite, and produced his own poetry/novel-themed show, The Russell Show, on YouTube. He currently lives in Montreal, Quebec. 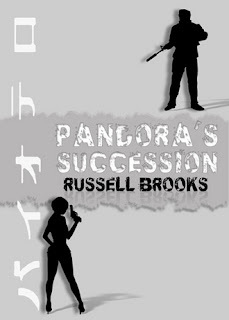 Pandora’s Succession, by Russell Brooks, will be available as an ebook on October 24, 2010 on Amazon and several other ebook retailers. Next up is An Interview with Russell...Check it out! “Here’s a piece of very good news. Long-time Associated Press reporter and book reviewer, Bruce DeSilva, has written an absolutely terrific literary thriller. Right out of the ever-so-hardboiled, ever-so-good-hearted tradition of Dashiell Hammett and Raymond Chandler, DeSilva’s Rogue Island is the funniest and best-written suspense novel I’ve read in years. “Meet Liam Mulligan, a newspaperman’s newspaperman, who covers the gritty, often-horrifying underside of Providence, Rhode (Rogue) Island. Mulligan’s a wonderful character. He’s on the run from his half-crazed, estranged wife, at odds with his boss (and, come to think of it, just about everyone else), and as anarchical – and ethical – as they come. He’s got a car named Secretariat that barely runs, a girlfriend who won’t sleep with him until he goes for an AIDS test, and a string of unsolved, murderous arson cases to investigate in the neighborhood he grew up in. Review: White Roses - Wonderful Romance! Several times as I was reading White Roses by Shannon Taylor Vannatter, the above verse came to mind. Often we don't see that this is true, especially when events are happening to us, which we think we will never get over. Indeed Pastor Grayson Sterling was in that situation. For many years, Pastor Grayson had a standing order to have white roses delivered to his wife on special occasions. Sara had always been excited when they came--each bouquet was especially created so that each was different, even though the white rose was always there to represent Grayson's love. They had known each other for many years as Grayson had been the twin brother of Grace, and Sara had become first Grace's friend. At 16 Grayson began to look at Sara with different eyes. Married years later, they had a son and Grayson had become Pastor at Palisade Church. But then Sara was killed in a hit-and-run accident. Grayson had been behind the wheel, but was held by the steering column, not being able to reach Sara as she died. That had occurred two years ago and Grayson was still so devastated that his loving congregation suggested that an associate pastor be hired to help handle the many responsibilities that were placed on the large church. Though Sara had died, the standing order for white roses had never been cancelled. The roses were now picked up and taken to the cemetery by Grayson. They were placed there in memory, for he knew that his beloved Sara was really not there. Rachel and Adrea Welch, sisters, owned the shop where those white roses were purchased. Adrea had been the creator of those lovely bouquets. She felt a kinship with Sara since she had arranged them for so long...or, perhaps, it was because Sara had died on what should have been the day Adrea was to marry Wade. And just like playing a game of chess, pieces began to be moved, there. Just a few of the movements include that Adrea's brother, Mark, was hired as Associate Pastor at Palisade. Mark then meets Grayson's twin, Grace, and soon they start dating. And the chess pieces were moving to bring the past and the present together in a shocking, overwhelming way! This is really a cool, illustrative book that shows how God works in our lives! Highly Recommended! Oh yeah...it's a tear jerker, so be prepared! When Bruce DeSilva became an author, getting rave reviews from all over, he couldn't very well do a review for the Associate Press for his own book so another was assigned! Jonathan Lopez is the author of the Edgar-nominated true-crime book "The Man Who Made Vermeers." Ahhhh, I think I'll have to go back and read this again...did you see what his opinion was? Well, he might have written a better review than I did (maybe) but I have to say...this reviewer, meaning, G.A. Bixler, loved Rogue Island. And so do a lot of others! The point, I want to tell her, is that Cook doesn’t much care who did it. He does not write whodunits. He is much more interested in victims than in murders and the cops who investigate them. His books are disturbing, convoluted tales of families haunted by past acts of violence that they don’t fully comprehend, either because important details have been hidden from them or because they are good at deceiving themselves. He puts his characters into situations that compel them to reexamine the past, peeling it back day by day or year by year. Each layer reveals a painful and shocking surprise. Cook is a great storyteller and an insightful observer of human nature. He is a superb stylist, his prose both exacting and lyrical. And his books have vividly-drawn settings, usually a southern town like the one he grew up in or New England where he now lives for much of the year. “Imagine Heart of Darkness without that river,” he once said, and you’ll understand what sense of place means to a novel. His best work—Red Leaves, The Cloud of Unbecoming, The Fate of Katherine Carr, and, yes, The Last Talk with Lola Faye—rank with the best in contemporary American fiction. Despite his brilliance—or perhaps partly because of it—Cook never makes the best-seller lists. The books of many of the most popular crime writers, including James Patterson and Janet Evanovich, are the intellectual equivalent of popcorn and a Spiderman movie. Even the work of critically acclaimed crime novelists such as Elmore Leonard and the late Robert B. Parker tend to go down easy. Cook asks that readers pay closer attention; his stories require a greater investment, both emotionally and intellectually. Not every reader welcomes the commitment. The reaction of that Goodreads contributor suggests another reason why Cook’s popularity lags. When a reader plucks a novel from a bookstore, the book carries with it a set of expectations based on where it was shelved and the blurbs on the back cover. The Last Talk with Lola Faye includes a blurb from Harlan Coben, a best-selling thriller writer. And you’ll find Cook’s novel shelved in the mystery section beside the detective novels of Robert Crais, the police procedurals of Michael Connelly, and the whodunits of Carol Higgins Clark. Where else would a bookseller put it? After all, Cook’s novels always involve crimes. He won an Edgar, the Academy Award of mystery writing, for The Chatham School Affair; and his work frequently makes the short list for the Dagger Award, the Anthony Award, and other crime fiction honors. He’s been nominated for the Edgar alone nine times. But Cook doesn’t write the kind of books that Coben does. Cook’s novels aren’t much like Crais’, Connelly’s, or Clark’s either. Truth be told, Coben, Crais, Connelly, and Clark also aren’t all that much alike, aside from the fact that they all write about crime. Readers of crime fiction tend to be quite particular about these sub-categories. Most noir aficionados loathe whodunnits. Fans of espionage novels are unlikely to dip into private detective stories. And so on. 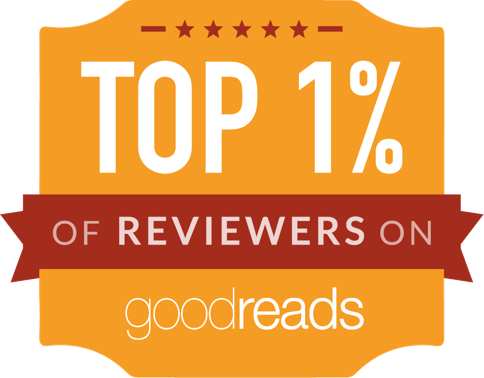 The Goodreads contributor who was confused by Cook’s latest can hardly be blamed. The Last Talk With Lola Faye was not the whodunit she was expecting. The fact is, Cook’s novels are too idiosyncratic and literary to fit into any of the many mystery sub-categories. And because his books are shelved alongside mysteries, readers who browse the literature section are unlikely to find them. Most lovers of literary novels are not inclined to give the mystery section a look, even though the work of many of our finest contemporary writers including Cook, Lehane, Kate Atkinson, Richard Price and George Pelecanos is shelved there. Although Cook has been favorably reviewed for 20 years, his work continues to be overlooked by millions of readers who would adore it. Cook was born in 1947 in Fort Payne, a northern Alabama town that was known as “The Sock Capital of the World” before most of the mills closed. The house he grew up in was devoid of books. He acquired his love of reading and writing from his teachers. Cook studied English and philosophy at Georgia State College and won advanced degrees in American history from Hunter College and Columbia University. He’s worked as an advertising executive for a chemical company, an English and history teacher at a community college, and a book reviewer for The Atlantic Monthly. He quit all that in 1981 to devote all of his time to writing and travelling. He is currently working on a non-fiction book about the saddest places on earth—a book he says will be more inspiring than sad. I first met him several years ago and have come to think of him as a wise and charming friend. But my reputation as a book reviewer is too valuable to be squandered by praising bad work. If I didn’t love The Last Talk with Lola Faye, I’d just keep my mouth shut. As a boy, Lucas despised his daddy, a local variety store owner with no head for anything including business. But he adored his mother, who doted on him and fed his dreams of escaping the depressing little town, graduating from Harvard, and writing great works of history. Lucas did escape, and he did, despite long odds, graduate from Harvard. But ever since, his life has been a disappointment. In middle age, he sees himself as a dull college teacher who’s written a handful of mediocre books. Sitting in Lucas’s audience on this St. Louis evening is Lola Faye Gilroy, a woman he hasn’t seen since he left Glenville. It’s bad enough that she has come, but afterward she wants to talk to him. Everything bad that happened to him, he thinks, began when she had an affair with his father. Because her husband found out. And then both men ended up dead. Unable to shake her, Lucas reluctantly agrees to have a drink with her in the restaurant of his hotel. As one drink leads to another, their conversation forces Lucas to reflect on his past. And as they continue to talk, Lucas gradually discovers that there was much he didn’t know about his father and the events that led to his death—and much that he has failed to understand about himself. Usually I read a Thomas H. Cook novel slowly, savoring each carefully constructed paragraph. But I found myself racing through The Last Talk with Lola Faye, compelled to discover the secrets and lies behind those old violent deaths and the Lucas that had been born of them. But in most respects, the book is exactly what I’ve come to expect from Cook: not a thriller or a police procedural or a detective novel or a whodunit—just another great book. Rogue Island is a Winner"
I have to switch up the type of books I read from time to time to broaden my thoughts as well as keep me on my toes. That was the goal when I picked up Bruce DeSilva's debut novel, Rogue Island, (October 2010), and, boy, did it deliver. The story follows Liam Mulligan, a newspaper reporter in Providence, RI. Mulligan, as he's known around town, was born and raised in Providence, so he knows the lay of the land and is an old pro at his job. He's used to covering the usual stories: tales of small government corruption, mafia wars, and local dog profiles. That all changes when a string of unexplained fires plague the city, killing innocent people and destroying a way of life. DeSilva has a way of making you feel as if you are right there with Mulligan as he searches for the criminals. His writing draws you in and will keep you wanting more. I also appreciated the way he carefully described the novel's setting—it gives you a true feel for New England culture, which for me was very important in framing the entire story. Finally, I felt the characterizations were vivid and extremely real. If I went to Rhode Island today, I would undoubtedly run into some people who fit DeSilva's descriptions. Long story short: Rogue Island is a winner, and I hope you think so, too. "Channa will evade Nazi soldiers and survive WWII by the age of 12"
In many ways Broken Birds is a sad, but wonderfully detailed historical documentary of some of those events that took place during World War II and, in particular, what we know as The Holocaust. It is the story of a young girl and boy who narrowly escaped death and who later married. Each story is presented separately. Channa Poltzer is Momila; Nathan her husband. Jeannette Katzir, on of their daughters is the author. But it is a story of family--a family that, today, right now, continues to be affected in small and large ways by what happened so many years ago. For those of us who are children of that war, there are many who can share familial "results" from their parents living during the war. How much more, then, can the effect of those who were actually there during that war be upon the children of those children? When I was young and, for some reason, asked about our heritage (German on both sides), I can remember that my mother would respond in only one way--we are Americans. And when Jeannette, her Father, and other siblings traveled to Germany, they often heard from those who lived there that the places they were asking directions to--for instance, the death camp--did not exist. It is Shame that brings those answers...shame at what was done to men, women and children there in those camps... Readers cannot help but feel this shame, once again, as Katzir shares the story of her parents. Both children bravely faced what they had to do and, in the end, escaped to a better life. Praise God for that. At the same time, Katzar's family story, of broken birds, may very well be illustrative to the families of many in America, who are members of dysfunctional families. I say this not to detract from the hardships and very real and open account of Katzir's memoir, but to strengthen its universality to the larger American families who have been affected by their past. Unfortunately, by revealing the jealousy, greed, and selfishness in such detail that occurred upon the death of Channa, the drama among the remaining family to a great extent overpowers the parents' story. Were the actions taken by the children of the Poltzer family due to the lives of their parents? Or are they typical of children in America who are greedy and the desire for money and an easy life is expected rather than earned? Mainly my reaction was that the two stories should never have been merged. I respect greatly what was researched and documented for Channa and Nathan. However, in my opinion, Sibling rivalry that requires money to reflect parents' love is not a new story. Perhaps Honor Thy Mother and Father was the story I was expecting for those who made it through the Holocaust... Still, there is much to read in Broken Birds. Channa and Nathan's stories are indeed worth reading. And if you wish to find a book opening discussing what happens in families about money, upon the deaths of other family members, well, I have many stories of my own and other families I have known and didn't really find much different to offer here. I wish I could say that this was a memorable book. It was not. Please read other reviews on this book so that you may decide for yourself. Perhaps the sibing rivalry many of us have faced was too dominant for this reviewer. – Sara Gran, critically-acclaimed author of Claire DeWitt & the City of the Dead. Haven't Decided Whether to Read Rogue Island??? 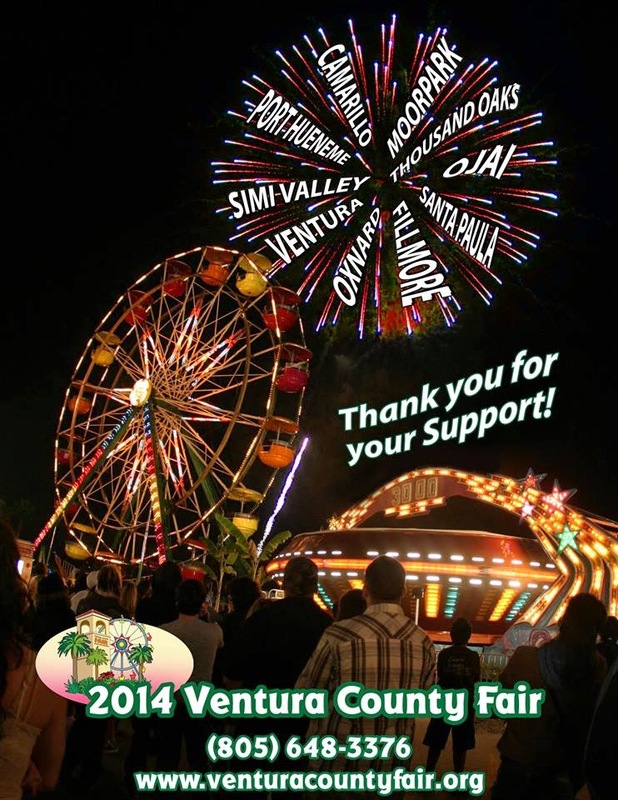 Crime Author DeSilva Reports--Today's the Day! Rogue Island Due Out Tuesday!!!! Sample Chapter - Rogue Island - Out This Month!